Gary Craig, Facebook : Really liking mine. Got them on Tuesday and have tried them twice now, and I'm actually using my legs for whole sessions covering over 3km. Ok I felt a bit uneasy turning up at my tri club swim session yesterday finding I wanted to justify my wearing of the kickpants not that I needed to, but to be honest once in the pool whether or not it's psychological I felt faster and smoother, especially as I do have sinky legs. These are definitely better than my floatation shorts so yes I would recommend and as far as I'm concerned these are not a gimmick and you kind of feel like an elite swimmer ?? ?? The World Ironman Championships take place in Hawaii next weekend on the island of Kona. 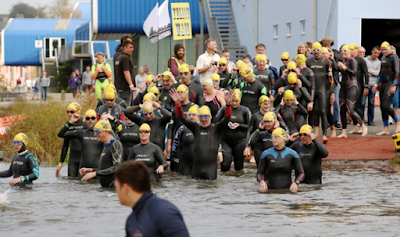 Swim Smooth have a host of athletes taking on the big race and we'll be bringing you many of the stories and insights from their performances after the race. But how do you go about qualifying in the first place? 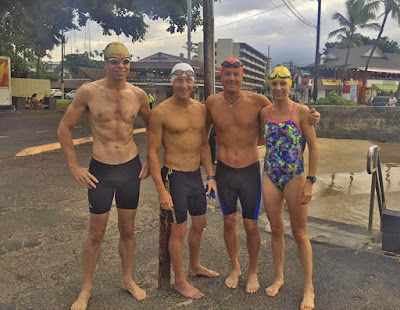 Many athletes overlook the swim component of Ironman because it is relatively short compared to the bike and run, but such is the intense competition for places at Kona that a weak swim can leave you so far behind you can never catch up. 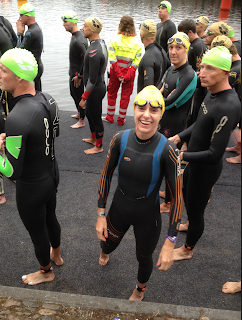 If you are such a triathlete with a swim weakness, how would a top level coach work with you to develop your swimming and have you further up the field at the start of the bike? This week on the blog we feature a couple of case studies from Swim Smooth Coach Fiona Ford, who is based in Richmond, London. 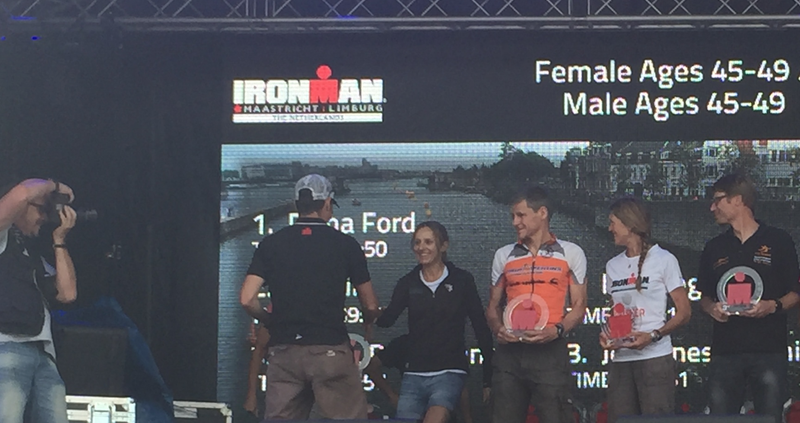 Firstly Fiona looks at how she worked with Steve to improve his swim and allow him to qualify for the Ironman World Championships. Secondly, as a great triathlete and swimmer herself, Fiona examines her own return from an extensive lay off from injury and how she made such a phenomenal comeback to racing and qualifying for Kona herself. You can’t win a triathlon in the swim, but you sure can throw or give away any expectations of racing to your potential. Many triathletes believe they can offset a poor swim with a strong bike and run, effectively training the one or two disciplines they most enjoy or is logistically less challenging for them. As a coach I find this a common profile for triathletes chasing a Kona qualification slot or aiming to race in the competitive end of their age group at ITU / Standard distance triathlon. Targeting a Kona qualification slot is a worthy challenge and drives the triathlon ambitions of many age group athletes. 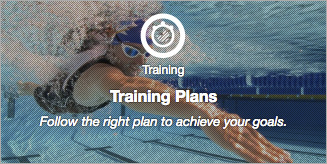 Improving triathlon swim performance can make this aspiration become a reality. After 8 Ironman finishes, one of my coached athletes Steve Drew needed to up his swimming game to secure a top 5 age group finish at Ironman UK with the hope of qualifying for the World Championships in Hawaii. As his coach, conducting performance analysis and athlete profiling highlighted a key requirement for Steve to reduce his Critical Swim Speed (CSS) to a competitive level by improving his speed efficiency, stroke technique, pace judgement and navigation skills in open water. Using video analysis to identify Steve's main swim technique inefficiencies, we observed how the knock-on effects of unilateral breathing in his stroke was seriously holding him back. Currently swimming at 1:50/100m we targeted dropping his CSS pace much closer to 1:30 per 100m. Throughout the Autumn and Winter of 2015 and early 2016, every weekly technique session Steve focused on his 'top 3' elements we identified from his video analysis. We continued to use video analysis to review his progress which allowed me as his coach to fine tune his swim progression with drills and functional strength training - both improving his range of movement with further modifications to his stroke mechanics. Before (L) and after (R): Improving Steve's body position. Click to enlarge. We addressed Steve's lack of symmetry in his stroke by training him to become versatile in his breathing patterns - i.e. regularly breathing to both sides. This required a lot of persistence (both for the athlete and coach!) but the end result of being able to rotate evenly to both sides greatly helped Steve's ability to swim straight in open water. To drive this home, on a training camp in the French Alps we utilised a group exercise swimming lengths of the 1km lake in a straight line. With myself providing the navigational draft or swimming alongside, it was a unique opportunity to provide accuracy feedback in real time. 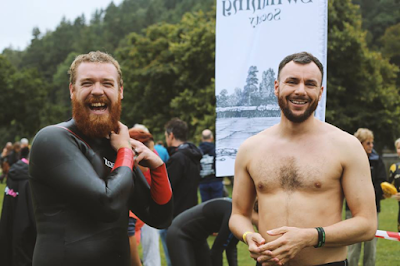 This fast tracked his awareness of how much extra distance he was having to swim in open water by swimming off course and overcorrecting - effectively zig zagging his way around a race swim course. Lastly, we worked on Steve's catch and pull mechanics by having him extend forwards and catch the water a little deeper. We used technique paddles (such as the Finis Freestyler and Agility paddles) to help him develop a feel for this rather than traditional large 'strength' paddles. 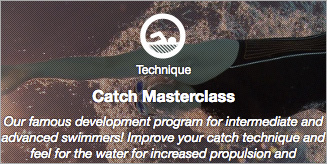 The depth of the catch is dictated by the flexibility of the swimmer, the less flexible the deeper it needs to be to maintain good technique. Bringing Steve's hand lower in the water during the catch reduced the tendency to press down on the water (left) instead of pressing it backwards (right). Click to enlarge. A key strategy for Steve was to implement a consistent focus on pacing throughout CSS and endurance sessions to avoid the tendency to start too fast and fade through the session. This brought significant gains initially in pace awareness, soon bringing CSS down from 1:50 to sub 1:45 per 100m within a few training cycles. As Steve's pacing confidence and competence improved on regular pink and red mist sessions, we saw CSS come down quite rapidly to 1:35/100m in the training cycle leading into his IMUK taper. A great reward for consistently nailing at least 3 sessions a week in the pool. We introducing focused open water skills progression on the training camp in July leading up to Ironman UK. As well as tuning up Steve's sighting technique to improve navigation we also tested the HUUB Kickpant and found these to be much faster than a wetsuit, due to the freedom of the upper body and shoulders for arm recovery. This led to testing a sleeveless wetsuit in the lead up to IMUK with great success to modify arm recovery and reduce fatigue of the upper body and shoulders, allowing Steve to sustain a higher stroke rate throughout long swims over the Ironman distance. What can we learn here? By training your weakness as a triathlete, you really can race your strengths effectively. You might not win the race with a great swim but you can engage with a totally different race by being further up the road with the strongest athletes in your age group, moving your performances into a different bracket entirely. Making a return to racing after a long layoff due to injury can be extremely daunting. An extended period of time away from the sport almost always sees growth in the numbers of competitors and quality of races. Focusing on what you can do, rather than what you cannot physically manage while in a rehabilitation phase or pre-training is one effective strategy to ensure you find momentum and motivation to continue making progress, however fast or slow that might be. The recovery process is rarely linear. Consistency yields rewards and focusing on this each week will bring you back through a pre-training phase to transition into a full training scenario. As a coach and athlete, I've engaged this cycle first hand over the past 4 years to successfully make a return endurance triathlon racing in May 2016. 1) Swim little, light and often when injured or recovering from surgery, particularly if unable to bike and/or run at your previous level. Design a training progression from injury recovery tolerance with regular short sessions. Gradually build this up to a structured plan including pace, endurance and technique sessions. This addresses all aspects of your swim performance and provides great variety if you are training a single discipline. 2) Identify issues from injuries using video analysis and modify your stroke technique if bio-mechanical or physiological adaptation is required. This is particularly significant for any athlete having had surgery to re-pattern neural pathways as the stroke may initially feel disconnected and uncoordinated at first. 3) Adapt your pool training stroke technique for open water in the lead up to first race if you have been a few years out of competition. Work on stroke rate rhythm in the wetsuit, optimising arm recovery, sighting and drafting strategies. It's essential to do this in a group training scenario. Nerves, what nerves? Time for a quick pre-race photo. An excellent swim at Challenge Half Salou, Barcelona had me out of the water a clear 1st in the female age group wave. The prevailing crosswind in the sea swim meant sighting regularly and being super-versatile with my breathing pattern around the rectangular course. Forget navigating off the turn buoys, we had large inflatable balloons tethered 10m above them to use for spotting the direction due to the rough conditions. These were not easy to find either until you were approaching them! Exiting the water 6th female overall put me significantly up the road on the bike ahead of half the women’s Pro field who had the benefit of a 5 minute head start. 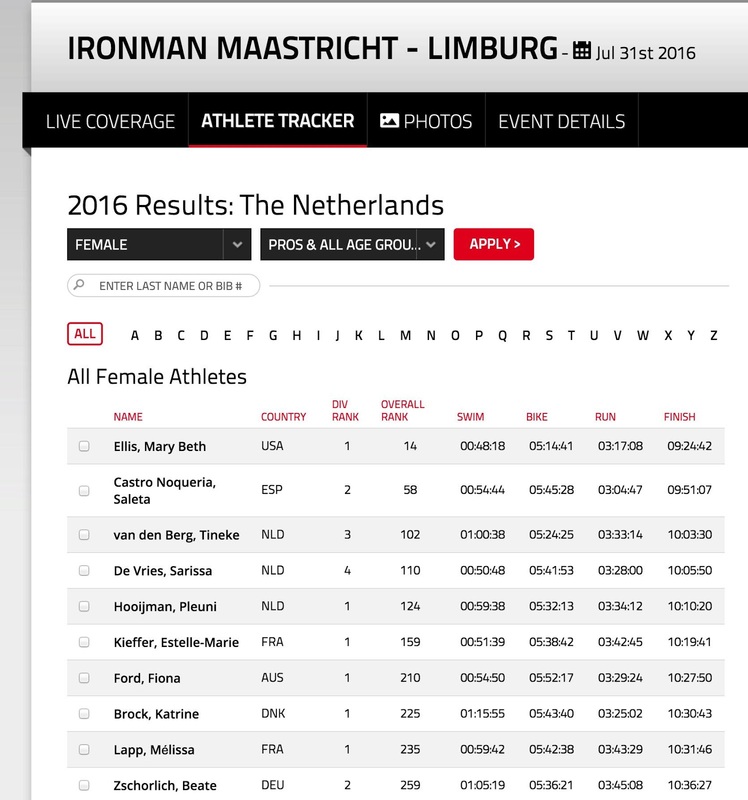 It set up my race to finish a clear 10 minutes ahead of the rest of the women's age group field and 9th overall among the Pros. An effective swim will set you up for a super race and sometimes, a surprising win. No better way to return to racing after many years sidelined due to injury. Having a vastly improved swim set up an unexpected race situation of racing among the Pro field on the bike and run. 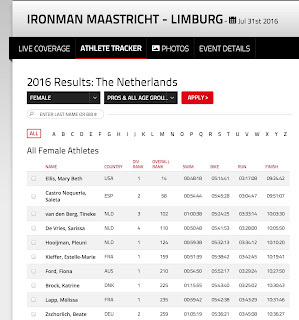 The exact same scenario repeated at Ironman Maastricht-Limberg, Netherlands 31st July where I qualified for the Ironman World Championships in Kona with a clear winning margin in age group 45-49F set up by a 54 minute swim. As a coach I’m really looking forward to seeing how BOTH my qualified athletes race in Kona, fulfilling lifetime goals, and surpassing all expectations personally as an athlete to be on the start line too. Working strategically and smartly on your swim, certainly pays huge dividends! A Big Thank You From Level Water! If you live in the UK you may remember back in February that we posted about our chosen charity Level Water, who were looking for some tough swimmers to take on the River Dart 10K swim on September 3rd and raise money for this special cause. Not only did 21 Swim Smooth swimmers sign up but you guys were fast in the water and epic fundraisers! In fact the top Level Water fundraiser was from Swim Smooth - Dominic Capon who swims with SS Coach Fiona Ford in Richmond. He clocked a fantastically fast 1hr58 for the 10,000m - a super quick time even with an assisting current - well done Dom! Level Water had a total of 130 swimmers in the event and between them they've raised £45,000. 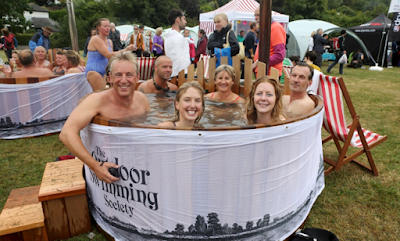 Swim Smooth swimmers alone have raised over £8,000 - fantastic! It was truly an amazing weekend; a great event, one of the most beautiful stretches of water in the UK and a proper festival at the end. We handed out 230 litres of hot chocolate (!) and we were deeply jealous not to join you all sipping champagne in the hot tubs – swimmers only! We also managed to rope in a masseur who was so popular that we promise to find at least four of them next year. 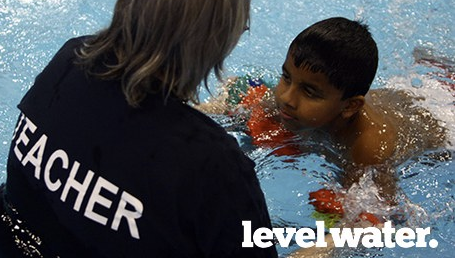 Level Water currently teaches 300 disabled children each week in 30 cities across the UK. From this event alone we'll be able to teach another 100 disabled children to swim, then help them join mainstream group lessons and go on to competitive clubs. Thanks again for your support, and we invite everyone to join us (with half-price tickets and guaranteed entry) again next year! How do you go about improving your performances next season? Try making a list. Set aside a little time from your schedule and think through all the things that went well this year and all the things that could be improved upon. Don't rush this - think deeply and take time to reflect on everything from training to race execution to your mental approach to relationships to nutrition. Identify everything that you feel is holding you back and write down an action to improve that area. Make sure your list is specific to you and the areas you need to improve - if you have excellent stamina there's no need to put "complete my long steady swim every Wednesday without fail". Sure you might want to do that but it's not a weakness that needs addressing with your list. Make sure you list is very specific - don't say "cut back on the booze", that's to vague and easy to dodge. Instead write "I'm only going to drink alcohol on Friday and Saturday evening and never more than two glasses of wine". - I don't swim well in open water because I end up swimming by myself to avoid the rough and tumble. It's not my favourite thing but I'm going to go to every club open water skills session in the pool over the winter. - I'm a classic over-trainer, my new rule is if I'm feeling tired after warming up I'm going to abandon that session and take an extra day off. - Negative thoughts are constantly holding me back. Every time I think a negative thought I'm going to immediately replace it with a positive one to change my mindset. - I'm always going off course to the left in open water. I'm going to breathe bilaterally for 90% of every training session to even out my stroke. - Sugary snacks make my blood sugar peak and crash, making me hungry again an hour later. From now until race day, anything I eat between meals is going to be slow release. - Nutrition is key for my channel swim next year but is something I'm not confident about. I'm going to start my research now and diligently test thing out during my longer swims in the pool over the winter. 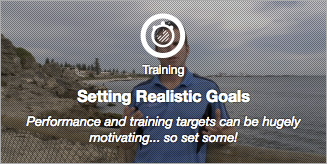 - I'm very inconsistent with my training - boom and bust! I'm going to step back my training week by 25% but nail every single workout. - My posture is terrible, I'm going to the follow the strength and posture routine in the Guru every Tuesday and Friday nights. - From now on I'm setting my alarm 10 minutes earlier to avoid the traffic jam that makes me late for swim training. 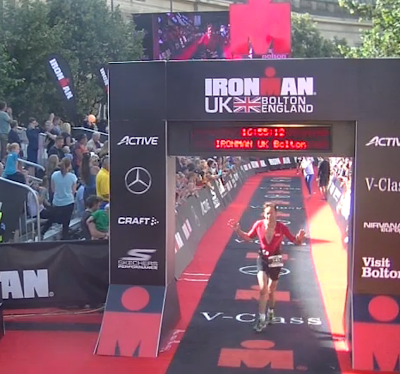 - I'm fast over 100m but underperform over an Ironman swim. 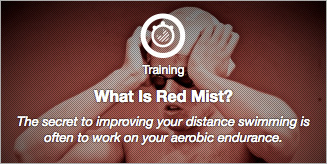 I'm going to swim one Red Mist session a week from January 1st until my Ironman on 20th June. It won't be easy (at least at first) but I know it will make a huge difference. - John makes me feel bad about myself and saps my energy, I'm going to find another group or swim by myself of Wednesday evenings. We suggest you aim for somewhere between 5 and 12 items. Each item by itself might only improve your performances by a small amount (a "marginal gain" in the jargon) while others might be worth a bigger chunk of time. Either way it's very unlikely that one single thing will make the sort of improvement in your overall performances you are looking for... but a well thought through list of 5 to 12 items almost certainly will. Once you have written your list the rest is very simple, you just have to stick to it. Commit to the list and become the athlete you are looking to be!